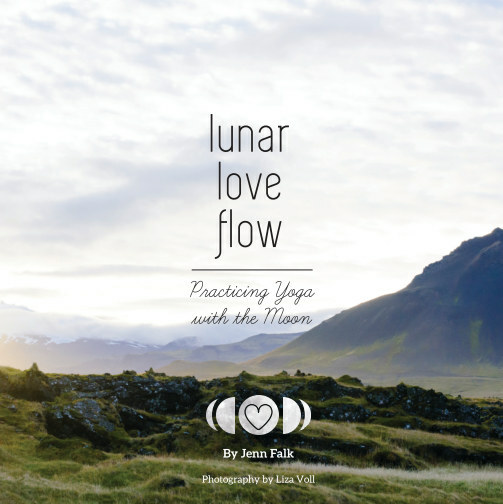 In this book, experienced yoga practitioner/teacher, Jenn Falk, shares her dedicated practice and teachings that aim to inspire connection to the natural rhythms of the lunar cycles which leads to more connection to ourselves. Learn about her method of practicing called Lunar Love Flow, which involves checking in with the current season, the moon phase, the astrology, and the energy of the collective moment. The book is also an expression of the love that Jenn has for Iceland. As her spirit home, Iceland provides an incredible backdrop for the images and energy Jenn is trying to express through her practice. Liza Voll provides all of the fine art landscape photography. Jenn is passionate about connecting to the lunar cycle and honoring the seasons. Her teachings follow the influence of nature and she engages in mindful movement practices, vulnerability as strength, and lessons from motherhood. She resides in Somerville, MA with her family.